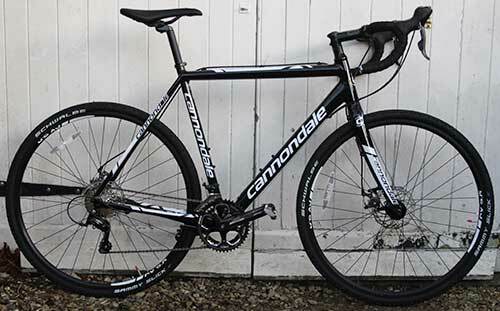 I took delivery of my Cannondale CAADX cyclocross bike between Christmas 2014 and New Year, and it’s been a revelation. In other posts I’ve commented on the trials and tribulations of sorting a winter bike to keep the Bianchi unscathed during the ice and mud that we’ll be getting out in the south-west in months to come, and I’d toyed with the benefits of a cyclocross bike. But nothing really prepared me for a bike that meant I could pretty much go for a ride from my workshop and take any road or trails that kept me so far away from traffic… it’s the perfect bike to explore your home territory, which makes each ride unique and a real hoot. My whole approach to road rides has shifted with the cyclocross bike. Instead of wondering whether the roads will be OK and then fussing about whether it’s a thick jersey or a wind jacket, which is what us roadies normally do (honest!! ), I’ve just been throwing on a base layer, three-quarter bib shorts and an old Night Vision jacket with a hat and spare layer in the back pocket, and just going for a ride. I’ve ridden in rain, howling gales, sunshine. I’ve ridden through puddles, down muddy lanes, bounced through potholes, slid down a steep slimy path and made up ground on ‘normal’ roads. The only thing I haven’t done is take the bike to a café, as I’ve always being over-time getting home because I’ve having so much fun. My average speed over a ride is only slightly down, but not by much – probably 1.0-1.5km/h when I compare my rides on the CAADX to other mates who are out and about… and bear in mind that they’re not hitting the by-ways and muddy back roads. Does the CAADX replace the Bianchi, no obviously not, that would be wrong, the Bianchi is beautiful and desperately quick. Does it replace the Anthem as well? Is the CAADX more fun, hmmmm, if I said “Yes” in a very quiet voice would the Bianchi mind?? 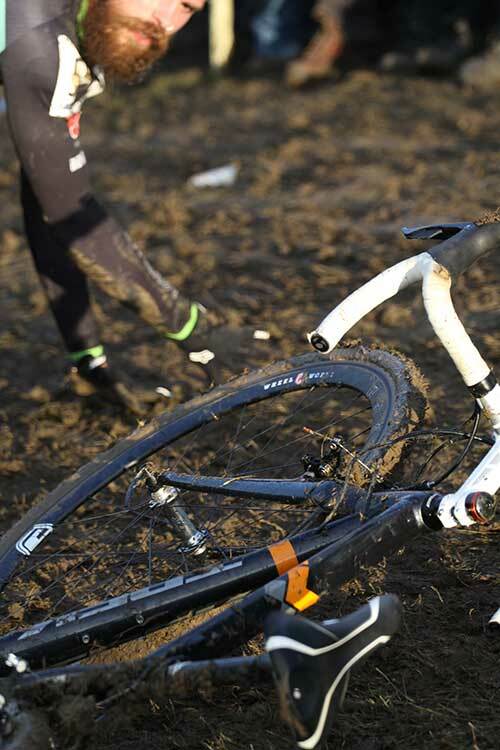 Update – I’ve now ridden my first cyclocross race and can honestly say that I’m hooked. Sounds good, good enough to snipe some off road KoM’s? Absolutely…. you’ve seen through my devilish plan to recover some ground on your 29er carbon whippet… Fosse Way Parts 1 & 2, and the Common Lung Buster here we come.